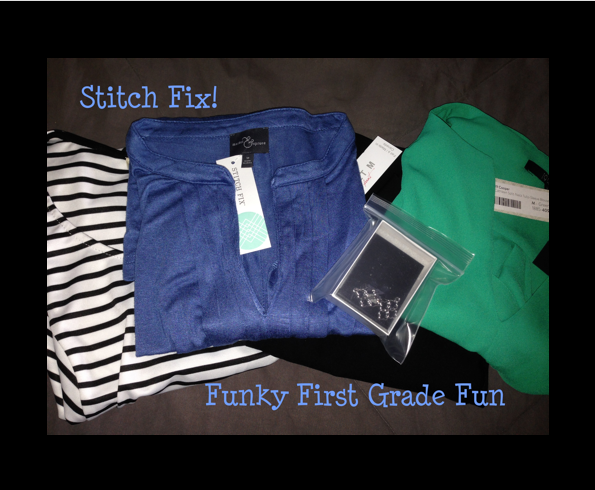 Funky First Grade Fun: Are You Wondering about Stitch Fix? 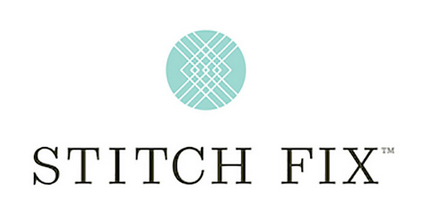 Earlier in the summer, I was curious about Stitch Fix. I kept seeing pictures on Instagram of people posting of their most recent "fix". I did a little research, but I was still hoping to find someone I knew who had tried it. 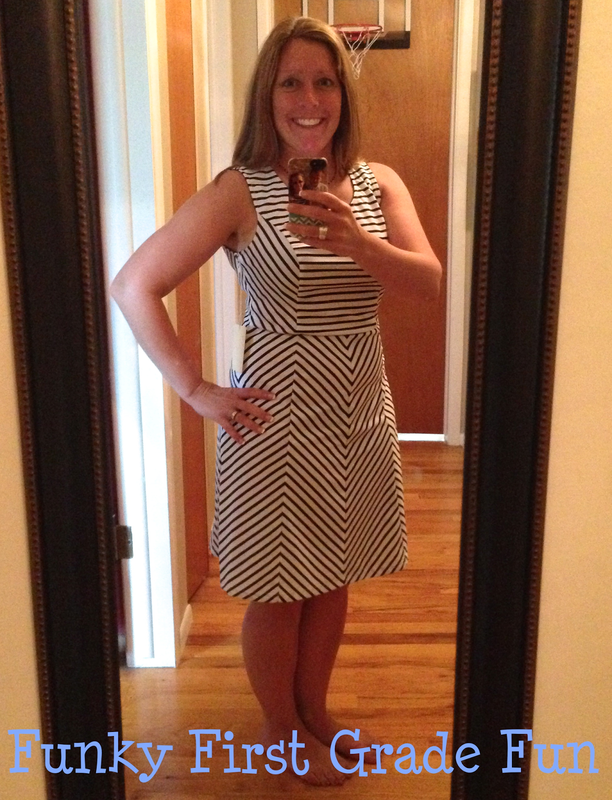 Not too long after, my friend Erin (from Kleinspiration), posted about using Stitch Fix. Stitch Fix is an online styling service that puts together a "fix", which is a box of clothing and accessories for you and delivers it to your door in a package. Based on your personal style preferences, a stylist chooses the clothing and accessories for you. There is a $20 styling fee. That $20 fee is applied to your order if you purchase any of the items in your fix. You try the clothes on at home. If you like them, you can keep them. If you don't like something in the box, you have a few days to return it in a bag that they include in the box. Each fix comes with 5 items. If you keep and purchase all 5 items, you receive 25% off your entire purchase. I scheduled my first fix this summer. You choose the date that you want your fix delivered. You can also choose to have them delivered automatically on a schedule (once a month, every other month,etc.) I chose to just go in an schedule my own dates if and when I want a fix. I'm so glad I tried Stitch Fix! It was so much fun! This girl who likes to shop at TJ Maxx and thrift stores has a stylist! Her name is Grace and she left me a cute little note in my box. The whole experience is just plain impressive! I started by creating a style profile by answering questions on the Stitch Fix site. There are lots of questions, so they can really get to know your preferences. It took about 20 minutes for me to finish my profile. They even let me leave a link to a style board on my Pinterest account, so they could see what I've been pinning there. 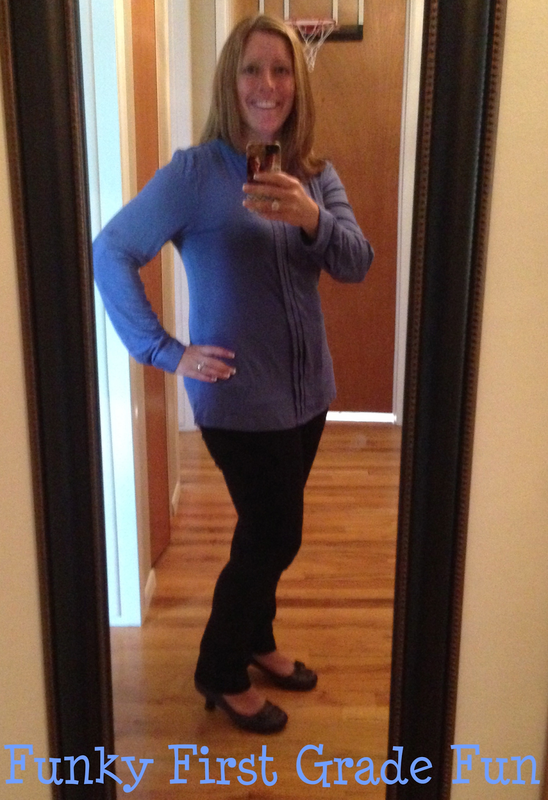 My first Stitch Fix arrived last week. Everything was wrapped so nicely in my box and my stylist left me instructions for how to give her feedback for next time. The box also included instructions for how to return anything that I didn't want to keep and suggestions for how to mix and match the things in my fix. Honestly, I was shocked how well the things in my box fit. My box included a pair of black pants, a black/white striped dress, a blue long sleeve shirt, a green silky blouse and a pair of silver earrings. I don't normally post selfies on my blog, especially not modeling any clothing for goodness sake. But, when you're 4'11" and a complete stranger picks out a box full of clothes that you would not normally wear and they mysteriously fit way better than anything you normally pick for yourself...I decided it was worth you seeing my toes. After I decided that I loved everything in my fix, I was able to go online and leave feedback for my stylist about what I liked and did not like about each item. For example, I LOVED the pants. They are super comfortable and very well made. So, I left feedback saying that I loved them so much that I would buy another pair. I have only purchased about 3 pairs of pants that did not need to be altered to fit my not so tall body in my whole life. And that is because those 3 pairs were capri pants and they just happened to look like normal length pants for me. Every other pair of pants that I purchase has to be altered. Yes, even the petites. But not these pants...THEY FIT! And I love them! I'm definitely scheduling another Stitch Fix soon. If you'd like to try it yourself, I'm sharing my referral code below. If you use my referral code, I get a credit towards my next fix. The real reason that I'm writing this post is because so many of my friends and family members were curious about how I liked Stitch Fix. So if I end up getting a credit, it will be an extra bonus for me and I'll be able to schedule a few more fixes. Ha! Just click on the image below and you can get started by filling out your style profile. I loved my first fix! Thanks for being my stylist. This customer is definitely impressed. That is amazing! I am the same height as you so I feel your pain about having to alter pants! You look fantastic! Thanks for sharing. What a great idea. I am going to have to try this. Finding pants that fit would be awesome. I like the idea of trying everything on at home, too!